The first Africans diagnosed with AIDS were two white gay men who lived in the Republic of South Africa . (The Republic of South Africa is typically referred to as “South Africa.”) As was typical for every AIDS case outside the United States early in the AIDS epidemic, both of these South African gay men caught AIDS in the United States. Both of these men were gay male air stewards (flight attendants) who had visited the United States before the development of their disease , and both died from Pneumocystis carinii pneumonia (PCP), a classical early-onset opportunistic infection secondary to HIV infection. The first patient was seen by his doctor in early 1982, “complaining of episodes of ‘influenza’ with increasing weight loss,” making him Africa’s first AIDS case. He was also one of the first AIDS cases in the world. At that time, almost all the world’s AIDS cases had occurred in the United States and almost exclusively among gay men and IV drug users. For example, as of August 1981, the United States had 108 reported AIDS, 95 of them were gay or bisexual men . The first South African AIDS patient died in November 1982. His ‘influenza” was diagnosed as PCP at autopsy. The second patient died December 1982. He had visited the United States only 3-4 months before becoming ill. His course of disease was rapid (and, no, HIV infection does not have a 10-year incubation period, see my blog post HIV has a 10-Year Incubation Period – NOT). Comparatively, as of September 1982, the United States had a total of 593 AIDS cases, 95% of these cases among gay men and IV drug users (or both) . Remember, at this time, the cause of AIDS was unknown. HIV had not been discovered. No HIV antibody test existed. Patients were diagnosed with “AIDS” after they developed opportunistic infections. Initially, it was thought that some aspect of gay lifestyle caused AIDS. It even seemed doubtful whether women were susceptible to the disease. However, as IV drug users, hemophiliacs, and female sexual partners of IV drug users started coming down with AIDS, it became evident that some unknown infectious agent was responsible. Unfortunately, this comment by South African physicians reveals a common weakness among many authors of scientific and medical journal articles: they cite articles after reading the abstract only; and fail to sufficiently attend to the body of the article (if they read its entirety at all). 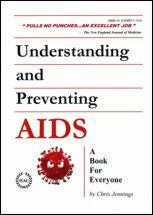 By general perception, the onset of the HIV/AIDS epidemic is considered to be June 1981. 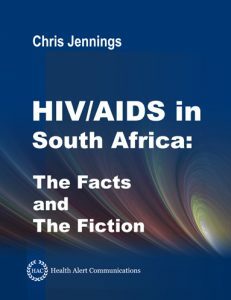 Therefore, as of December 1982, no black Africans had been diagnosed with AIDS. 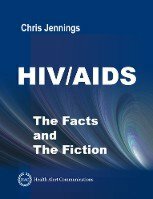 All across the world, all AIDS cases outside the United States occurred only among gay men who had caught AIDS (directly or indirectly) from American gay men; and, across the world, the initial inceptions of HIV/AIDS occurred in cities with strong business and tourist connections with the United States . Centers for Disease Control (CDC), Follow-up on Kaposi’s sarcoma and Pneumocystis pneumonia. MMWR Morb Mortal Wkly Rep. 1981 Aug 28;30(33):409-10. [PMID: 6792480]. (APIIEG) APIiIEGI. Consensus Recommendations for the use of Immunoglobulin Replacement Therapy in Immune Deficiency. 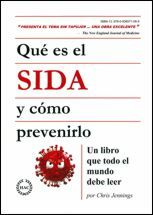 2nd Edition, July 2009 ed; 2009. See the section “HIV/AIDS Migrates Overseas” in HIV/AIDS – The Facts and The Fiction.